the leaders in international company search information. 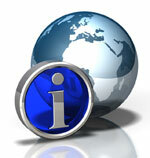 Welcome to CompanyInformation.com - international company information. For over 10 years we have been market leaders in international company reports for due diligence and financial status reporting. International business can be high risk but with reports on any company in over 180 countries and jurisdictions we are the source of company information for businesses worldwide. Fast. With our network of agents actually working within every country we are able to prepare and deliver reports faster than other services. Accurate. Your report will be researched and investigated specifically to meet your enquiry and ensure the most up-to-date information available. Professional. All our agents have detailed knowledge of the most reliable company information sources in their country. Confidential. Your interest in the subject company is not revealed - not even our company search agents in the country are aware of your identity. Through a worldwide network we can quickly provide you with comprehensive company reports on businesses in every country in the world in a format you can understand. Both our online reports and our freshly investigated reports are fast enough to help you make quick decisions. Click here to search a company for due diligence and credit status in any country worldwide now.